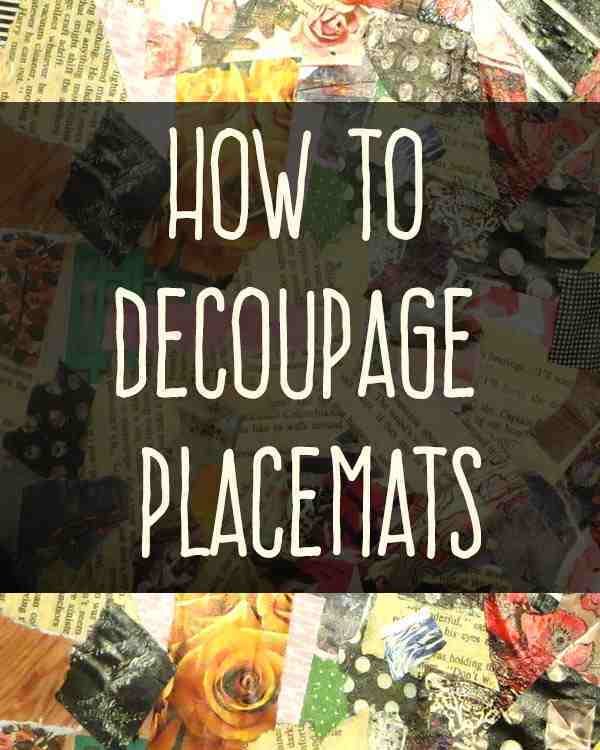 Today I thought I’d share a fun little tutorial on how to decoupage placemats. It’s super easy to do and a lot of fun – really makes for a great project to do with the kiddos also! If you’re a book hoarder and magazine collector and you LOVE getting paper stuff from the thrift stores and flea markets, this is a fun and practical craft to make….and it really keeps the kids occupied for a good bit of time as well! If you want your placemats to “wipe clean” when you are finished – you are absolutely going to have to laminate them. You can get them laminated at most office supply stores or printing & packaging stores if you don’t have a laminator at home or where you work. I got a laminator as a gift last year, but it’s a little on the small side for things like placemats. So when I finish this project, I’ll be taking them to my nearby print & post store to get them professionally laminated. Note however that if you’ll be laminating these, you’re going to want to make sure they are very thin – if you use thick posterboard or cardboard it’s not going to fit through their machine. That’s no fun! Some people have also found contact paper can work well as an alternative to laminating things. I don’t know from any personal experience on how well this works however. 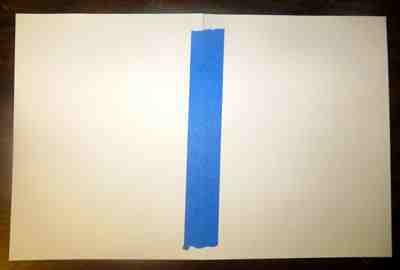 Me and large sheets of sticky things don’t play together well! Now that we’ve covered the importance of what you need to know about laminating, we’re ready to get started! Disclosure: We may receive compensation for items featured on our website. Click here for details. I am going to flip this over and then once I’m done gluing stuff to the front side of the cardstock and it has dried, I am going to remove the tape and then decoupage and collage on the backside where the tape was. Easy enough, right? 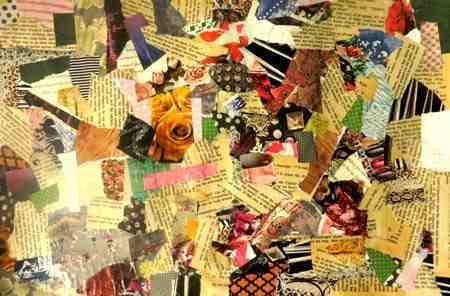 Next, I decided to cut out some magazine pictures and such to create a collage type of design for my decoupage placemats. Once the images were arranged, I simply just brushed them on with some glue. If you want to make yours pretty, you can use book pages, or scrapbook paper…whatever you have handy and think is pretty will work! For me the whole point of this project is to repurpose and reuse all the 8 bazillion books and magazines I have been collecting and need to put to use before I can buy more. To make it match my decoupaged wine bottles, I decided to go over with a coat of glossy gel medium – but that’s just my own personal preference – you don’t have to do that by any means! Here is my finished decoupaged placemat ready to be laminated! I hope you find this tutorial useful – and if you have any questions or comments, feel free to share them in the comments section below.